The wall and ceiling lamp Fabbian Beluga Steel is made of shiny chrome. 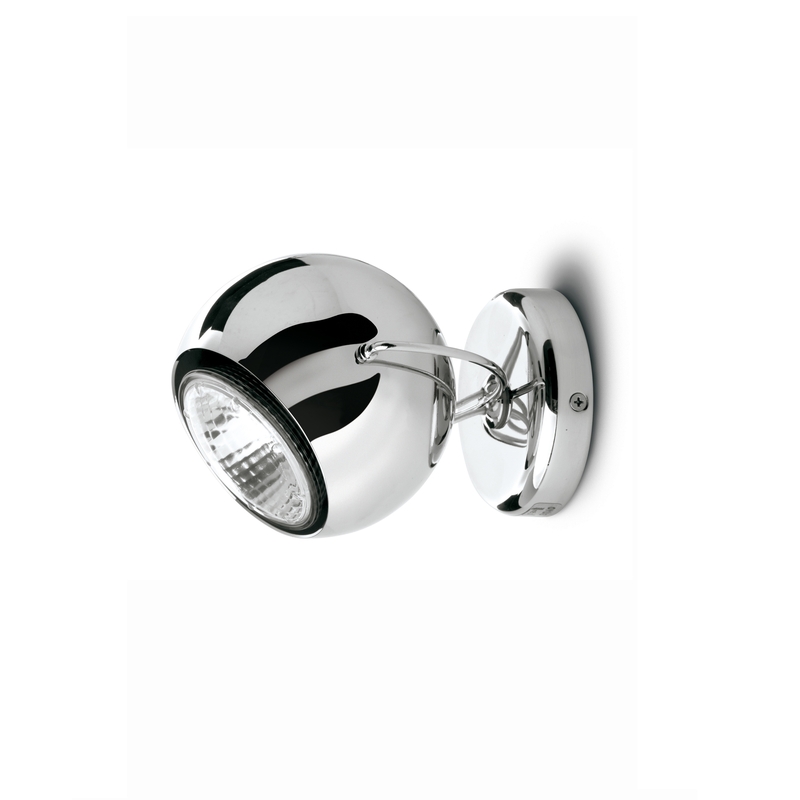 The spherical diffuser can be rotated so that the light beam can be oriented in any direction. Electrification on mains voltage for halogen lamps. Fabbian Beluga Steel offers from the series to another wall and ceiling luminaires in different sizes as well as table, floor and pendant lights.